Relaxed, rejuvenated, indulged and beautiful. That’s how we want you to feel when you visit Alwalton Hall; from the moment you arrive until the moment you head home. 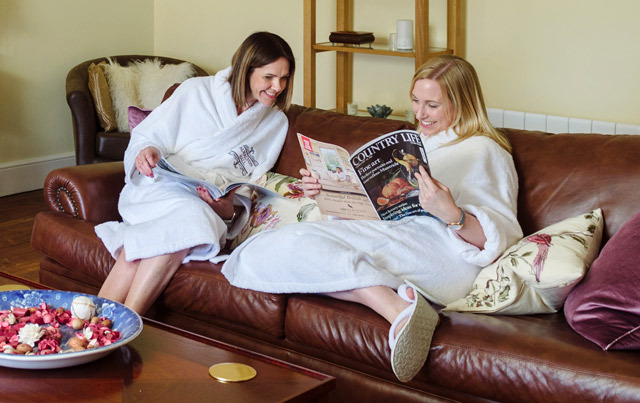 Whether you’re visiting Alwalton Hall for a quick treatment, regular hair or beauty maintenance, or up to a day of luxurious pampering, we always aim to make you feel incredible. Leave the hustle and bustle of every day behind and feel truly indulged. We know it’s the little touches that can make all the difference. When you visit us at Alwalton Hall we’ll do all that we can to understand and accommodate your preferences. Simply let us know. A huge part of the Alwalton Hall experience is down to our wonderful therapists. 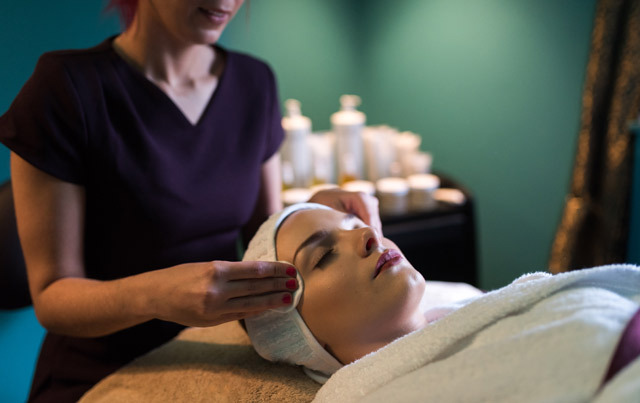 Providing a range of beauty, wellness, rejuvenation and relaxation treatments, our therapist team is led by Jess Topping and Vicky Lill, whose approach to making our clients feel amazing is all about professional treatments and creating an unforgettable, warm and friendly environment. We have created a unique experience at Alwalton Hall. We’ve retained all the original form and charm of this lovely Georgian country house whilst re-purposing it into a beauty and wellness sanctuary where each room – whether that’s a reception room or one of the treatment rooms – offers a completely different ‘feel’. 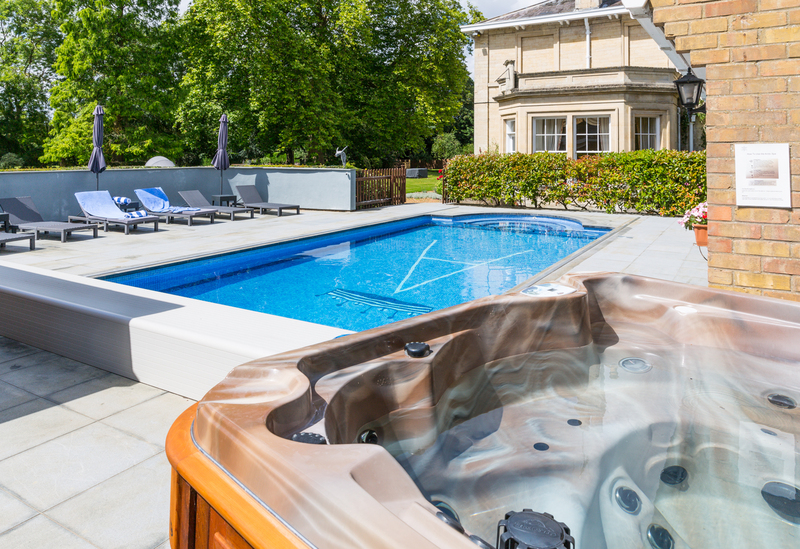 Visitors on pamper packages can take full advantage of our Regency reception rooms, including one specially reserved for package guests, and (mid-April to September) the beautiful heated outdoor pool, Arctic Spa pool, pool-side loungers, and day beds in the grounds. For the many clients who come simply for treatments, there are luxurious, relaxing reception rooms to wait in. And for anyone adding a meal to their treatment the panelled Regency Dining Room is the perfect setting. 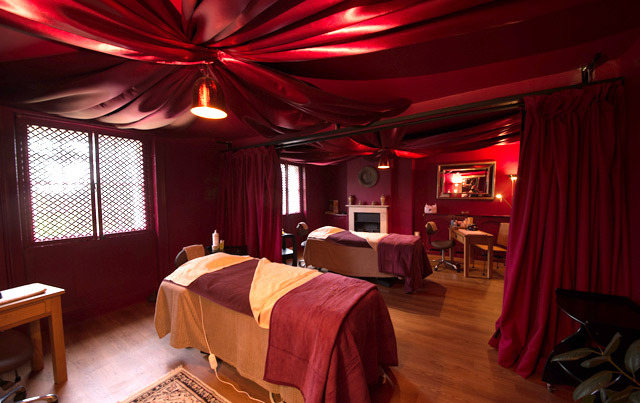 In addition to three individually themed individual treatment rooms we have the Cleopatra luxury couples suite and our sumptuous twin Morocco room, which can accommodate two, three, or even four people for simultaneous treatments. Our beautiful old stables, adjoining the main house, are fully equipped to make the perfect setting for our expert hair stylists. 21st century styling in 18th century surroundings. Find out more about the facilities and beauty treatment rooms at Alwalton Hall here.